Unlike the other forums across Rome's empire, the ancient capital's center of public life wasn't simply planned and built, but evolved slowly as the great city grew. 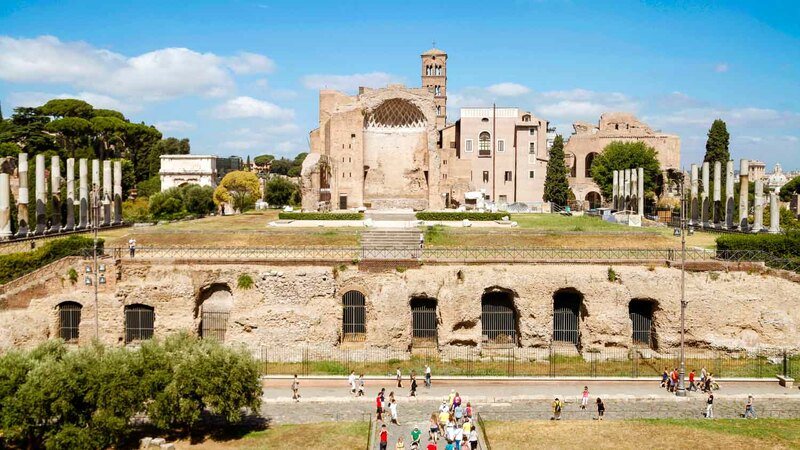 Here are five facts about the original Forum Romanum's history! Situated on a marshy plain between the key Capitoline and Palatine Hills of Rome, the site naturally became a local meeting point long before an official Forum was planned. Legend has it that the initial Comitium emerged after both hilltop tribes made peace. Until Rome's 5th king built the Cloaca Maxima, most of the site was too swampy to be usable. 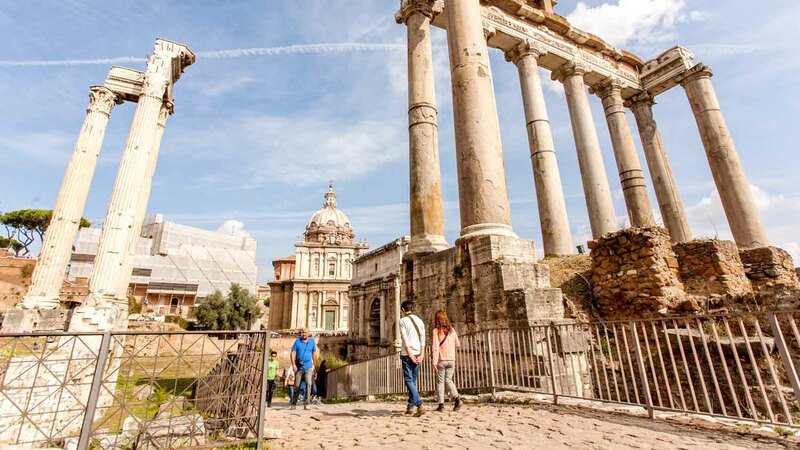 The forum served as the center of Rome's public life for centuries, hosting public speeches, military processions, criminal trials, gladiatorial matches, markets, and much more! Constantine I built the Basilica of Maxentius in 312AD as the last major expansion of the forum. Over time, several of the other temples were converted into Christian churches. Flooding of the Tiber river and erosion from its surrounding hills caused the ground to rise, slowing covering the monuments. By the Middle Ages the site was being used as a pasture! 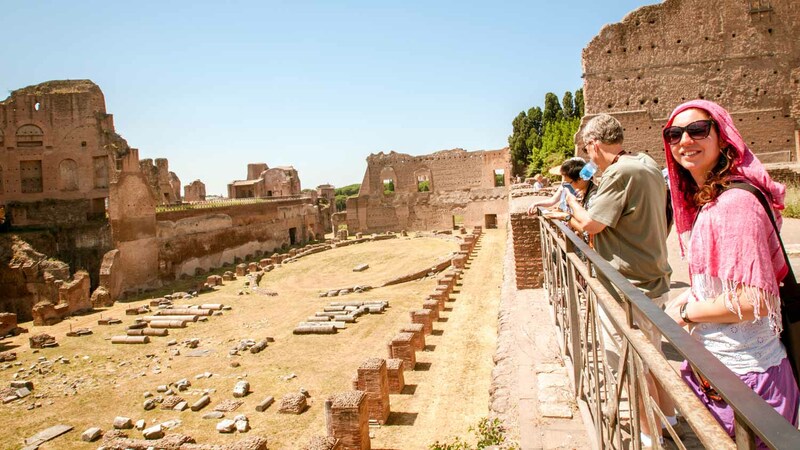 Tickets are valid for two days but also cover the Colosseum and Palatine Hill. That's a lot to see so make sure you arrive there nice and early on both days! The Forum opens from 8:30AM (except holidays), but closing times vary depending on the season. You'll have more time between April and September. If not booking in advance, use the Palatine Hill ticket office, as the queue will be mercifully short compared to that at the Colosseum! Don't let the maps fool you! Although there are Metro stations nearby, none of them are that close to an actual entrance! Colosseo (by the Colosseum, in case it's not obvious) is the closest but you'll still need to walk to the main entrance up Via dei Fori Imperiali. Otherwise, take either the 51, 85, 87, 118, or 810 bus to the stop Fori Imperiali. The Forum opens at 8:30AM daily (except holidays) and closes an hour before sunset. The adult ticket is just € 12,00 and is valid for two days, for the Colosseum, Roman Forum and Palatine Hill. 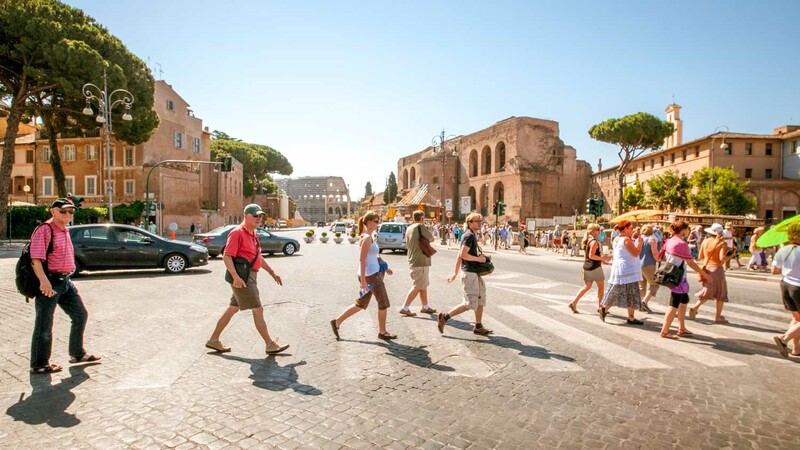 Plan to walk from the Colosseo Metro stop, or take the 51, 85, 87, 118 or 810 bus to the Fori Imperiali stop. Admission is free the first Sunday of the month! | There is a € 2 booking fee for booking in advance and skipping the queue. Superb family fun - Martina was excellent & made history fun ! Thanks again to Martina - she brought Ancient Rome to life and our 7yr old daughter loved every minute ! Also educational for the parents - so a ‘win-win’ . Would definitely recommend this tour .. spot on. A very good historical review of Roman times. 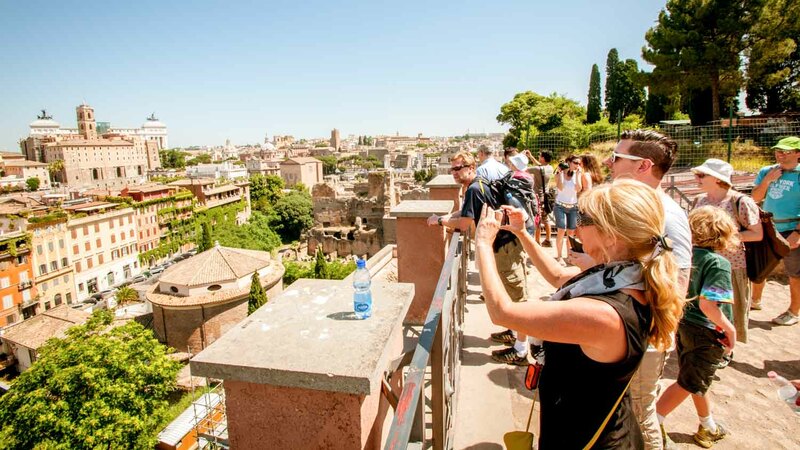 Mrs Erica, our guide, did explain all necessary details of the sites enabling to understand the origin of various architectural items, starting from common buildings, palaces, temples and statues, together with the famous Colosseo. Nice weather and temperature of the spring made our tour to ancient Roma just wonderfull. The most amazing part of history I have seen! Absolutely outstanding, I can’t believe it what was built all that time ago! Beautiful history to walk through and connect with. I loved every step and blister made! Loved every minute of the tour. It was fascinating and our guide was wonderful. She is an archeologist so she's intimately involved and passionate about the subject. I highly recommend this tour.